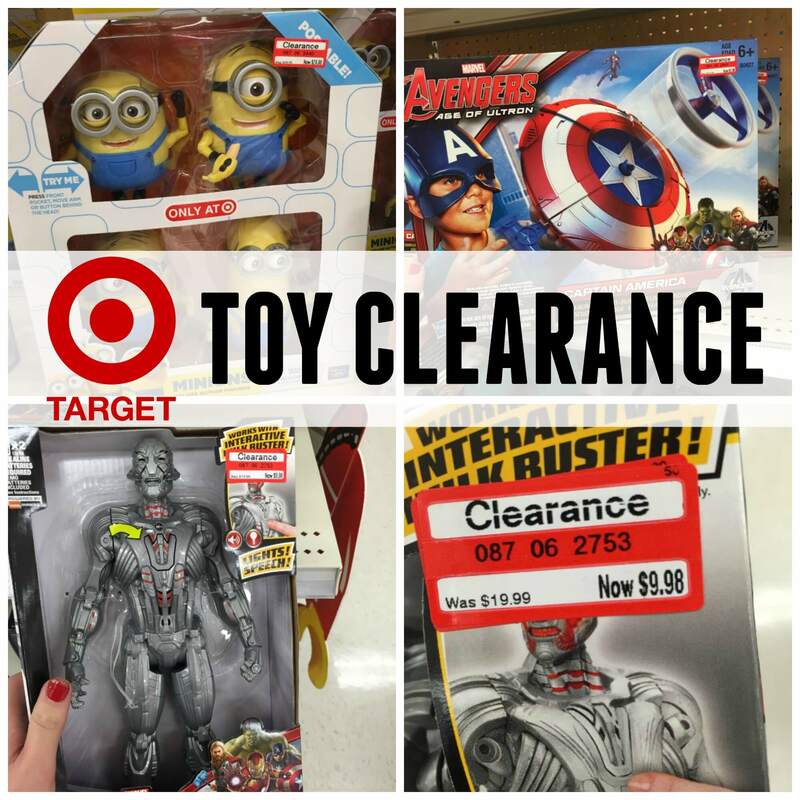 Target Toy Clearance Starting 50-70% off! Home / Deals / In Store Deals / Target Toy Clearance Starting 50-70% off! I just wanted to give you guys the heads up that in addition to all the awesome Target Deals going on this week there is some Target Toy Clearance starting to pop up. I’ve heard from a few readers that they have found things marked up to 70% off today so it might be worth a trip to check for additional markdowns. My store has most things marked 50% off right now and it seemed to mainly be several end caps but sometimes as more gets marked down towards the end of January they move it to one specific aisle. I would definitely recommend looking through the toy section the next time you are at Target, Check the End Caps and check the aisles because every store handles Clearance a little differently depending on how much is left. Make sure you look in the Top Right Corner of the Clearance Tag to see the mark down amount. And if you find stuff at 50% Check back in a few more days to see if it’s at 70% yet. Target also has a Target Coupon Code for an EXTRA 10% off all Clearance Clothes, Shoes and Accessories online when you use the Promo Code EXTRA10 at checkout! That’s a really great deal so I would make sure you shop around online and grab anything you love while there’s the extra 10% off clearance going on. Macy’s $10 off $25 Purchase Coupon! | This weekend ONLY!